Eclipta alba reduces the effect of alopecia, a hormonal issue that causes hair loss. Bacopa monieri combats stress, which is the real reason for hair fall. Amla is also added to stop dandruff and greying effects. Kesh King promotes blood flow in the follicles and assists in growth of hair and improves the pigmentation in hair. 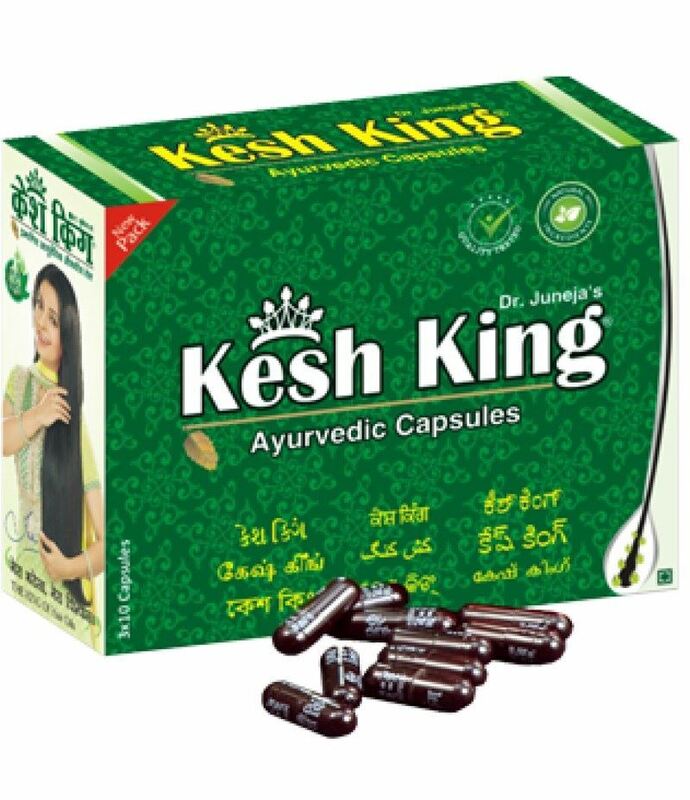 Matrix cells are also formed by the Kesh King Ayurvedic capsules to restore weak hair fibres. It also activates new hair fibres, thus allowing the new hair to be stronger, more vibrant and capable of growing longer. Two capsules should be taken twice a day. These capsules should be taken with hot milk or fruit juice, if possible. For children, one capsule can be used twice a day.